I have been reading through Henry Mayhew’s account of the working class in Victorian London and came across this fascinating story of Jack Black. Jack Black was the “official” rat catcher to Queen Victoria. 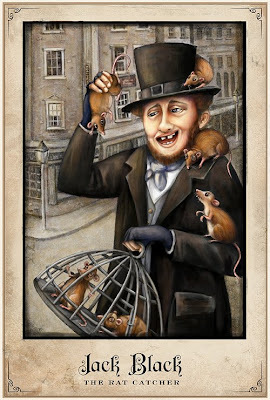 He peddled rat poison throughout the streets of London and always carried a large cage of rats (much larger than what is shown here). Jack was rather fearless in handling his rats and would even kill them in front of live audiences while demonstrating the potency of his rat poison. 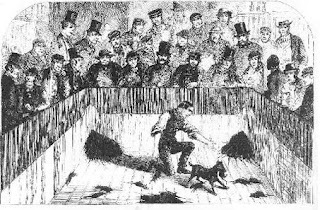 Jack also collected rats for a curious entertainment popularized in Victorian London called Ratting which was basically dropping rats into a big pit to watch a “pit dog” rip them to shreds. Sounds rather dull to me, but to Victorian kids…it was the most fun they would have all week. But don’t think Jack hated rats. He actually kept some rats as pets and bred white rats - a mutation in Victorian times. Jack then sold these white rats to highborn ladies who thought that if a rat was white…well then it just didn’t count as vermin. Rumor has it that he even sold one of his pet rats to Beatrice Potter who later based her character of Samuel Whiskers on Jack’s rat. Clearly, this story has to be a smear campaign because you can see Mr. Whiskers is a cute, little brown mouse and not a disease-spreading rat. The proof lies in Mr. Whisker's attire. Everyone knows that rats do not wear pants. Anyway, my painting is no Samuel Whiskers, but I wanted to do some sort of caricature of Jack and his rats. Let me know what you think. Amazing! Your technique and style are so beautiful, yet I find the rats completely disgusting! Fantastic painting of Jack Black! These rats, obviously, like him. For now, at least. What a fascinating story, too. Watching pit dogs tear up rats is...well, ew. yuck. 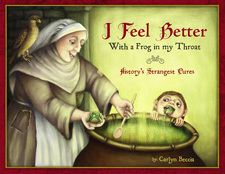 Brilliant illustration and a very entertaining story. Excellent! That is a fantastic illustration. I love the detail! Rats do make really nice pets! Jack and his rats are such characters! Great interpretation of contained. Lovely artwork. 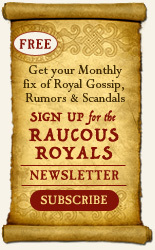 So excited to have Encyclopedia of the End featured as a Raucous Book of the Month. Thanks for that, and per this post, I think we must be separated at birth because I'm also reading Mayhew (Mayhew's London, researching the city in Victorian times) and am obsessed among other things with his "bird-duffers," street sellers who doctored workaday birds like greenfinches by painting them to "resemble some curious foreign bird." Also the "young gypsy-looking lad" in a "dirty-looking smock frock": "I am a seller of birds'-nesties, snakes, slow-worms, adders, "effets,"hedgehogs (for killing black beetles); frogs (for the French--they eats 'em"). Reading Mayhew makes me feel like a kid in a candy shop. 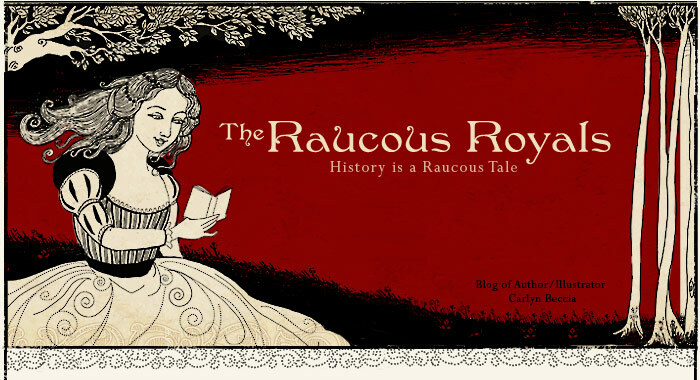 Thanks for these fascinating posts (enjoyed the newest, on Madam T.). heehee. I love Mayhew too. Let's not forget about the Fly-Paper Maker, the Stilt-Vaulters or the Lumpers. I am only on Volume 3....don't give the rest away!